We’re EXCITED. You know, the ALL CAPS, CAN’T HELP IT, kind of EXCITED. And once we tell you about our all new, all exclusive brand – Gilded Intent – well, let’s just say you might dig the high-energy yourself. Gilded Intent is comfortable, understated, and classic. Designed with an urban meets vintage vibe, Gilded Intent adds refined style that highlights the wearer’s natural beauty. What’s even better? 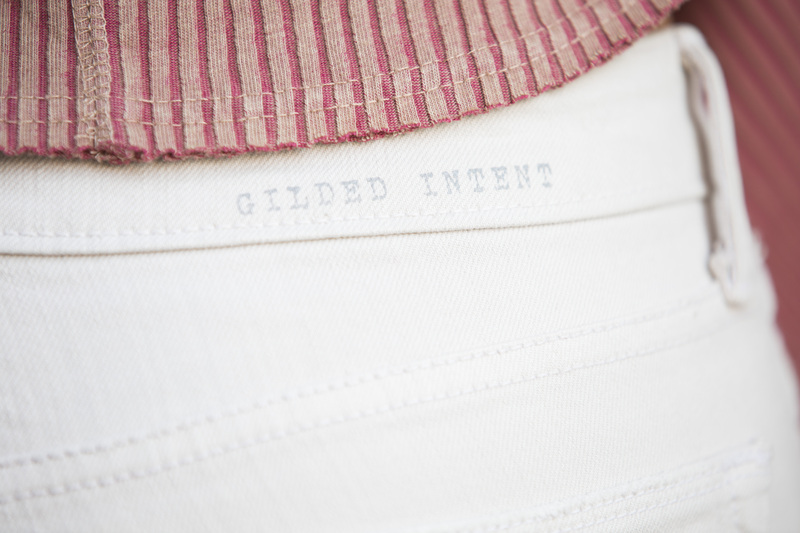 Gilded Intent’s simplicity makes it a little mysterious. Mystery is good. It keeps things exciting. Kind of like a spontaneous road trip or something equivalent. Most importantly, Gilded Intent is a brand that fits your lifestyle. A brand that knows you have places to go, and people to meet. A brand that’s up for anything, including your last minute decisions. Gilded Intent is ready to join your journey. You can shop Gilded Intent at a Buckle store near you or on buckle.com. We invite you to wear the adventure. I benefit from looking through your websites. thnx!